September is Healthy Aging Month, and people of all ages and walks of life are invited to participate. After all, good health in your golden years starts with a commitment to preventive wellness earlier in life. And if you’re already eligible for an AARP card, it’s never too late to get serious about your wellness. As you celebrate each passing year, you should pay attention to the changing needs of your eye health. In Chicago, eye doctors encourage patients to schedule regular exams, even if they don’t wear eyeglasses or contact lenses. Your ophthalmologist will let you know how often you should schedule an eye exam. If you’re 65 or older, you’ll probably need one every year or two. A comprehensive eye exam is an opportunity for the doctor to check for potential red flags of eye disease. 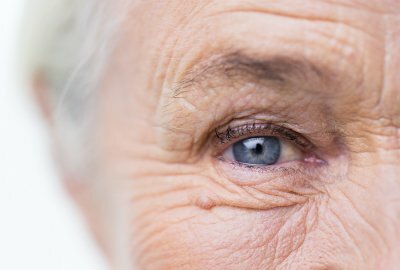 With early treatment, it’s possible to delay the progression of eye diseases. It isn’t always easy to remember to schedule an appointment that only happens every year or two. Solve this problem by making your next appointment before you leave the optician’s office, and check that the office will send you a reminder card or email. Sunglasses are much more than just a fashion statement. They can protect your eyes from the harmful ultraviolet (UV) rays. UV light increases the risk of cancer, cataracts, and growths on the eye. Look for sunglasses that offer broad-spectrum UV protection, and wear them each time you go outdoors. If you wear prescription eyeglasses, you can visit an optical center to order prescription sunglasses. Wearing a wide-brimmed hat can also help shield your eyes. There are dozens upon dozens of compelling reasons to quit smoking, including its detrimental effects on eye health. Smokers are more likely to be diagnosed with macular degeneration, cataracts, and dry eyes. They’re also at a higher risk of cardiovascular diseases, which can indirectly worsen eye health. It’s never too late in life to quit smoking. Consider it an investment in your future, just like saving for retirement. If you don’t smoke, don’t start. Avoid being near anyone who is smoking, as secondhand smoking is also harmful.